Freiman, an internationally recognized Beatles scholar, drew plenty of gasps in June at New Haven’s International Festival of Arts & Ideas, where hundreds of knowledgeable Beatles fans filled the lecture hall at the Yale Center for British Art to hear his 90-minute “deconstruction” of Sgt. Pepper’s Lonely Hearts Club Band. Most of those in the auditorium had grown up with the Beatles and vividly remember their first taste of them that night in February 1964 when they made their initial appearance on The Ed Sullivan Show. But that’s not true for the 55-year-old Freiman. Even 10 years later, Freiman was not cool and not tuned into the Beatles. His first album was by the Partridge Family. Promotional materials for some of Freiman’s highly informative multimedia presentations on the Beatles. 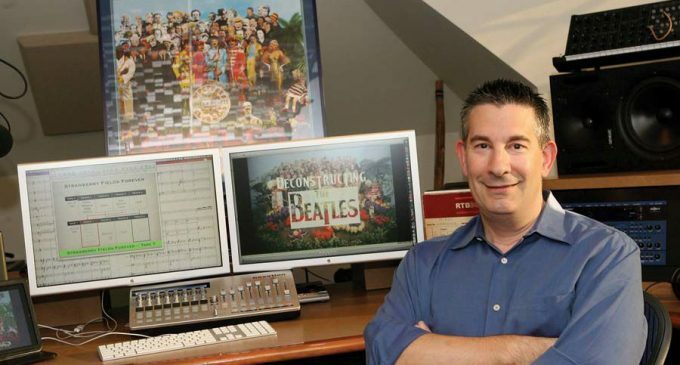 Freiman began giving his talks on “deconstructing the Beatles” in his living room for musicians, fans and his kids. This was long after he obtained his B.S. in computer science and music from Yale. 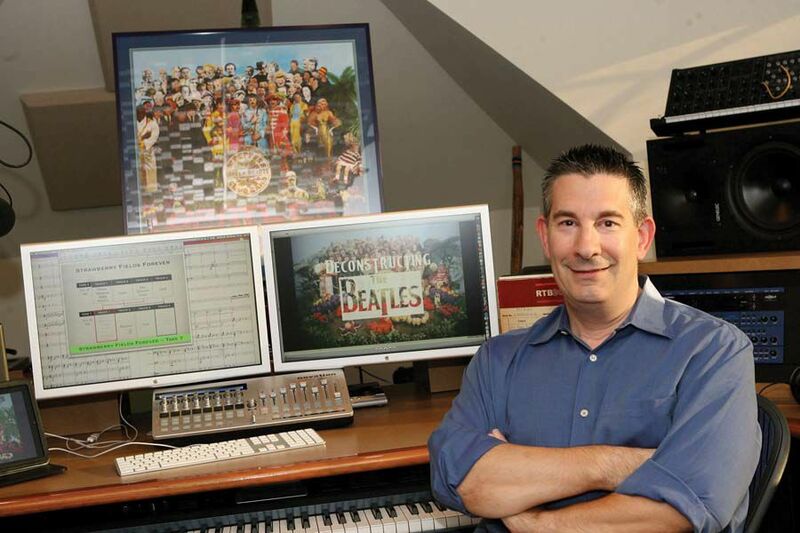 In 2012 he returned to Yale to teach a course entitled The Beatles in the Studio. There were a few of that age group sprinkled in the New Haven audience, but predominantly it was baby boomers and they were loving it: tapping their feet to the musical snippets, sometimes closing their eyes and nodding their heads. Along with the Pepper music they got those “tidbits.” Example: Paul McCartney got the Sgt. Pepper title when he saw salt and pepper shakers on an airplane.